UVirgin TV is a digital and analogue cable television service in the UK, owned by Liberty Global. Its origins date from NTL and Telewest, two of the largest cable operators in the country which merged on 6 March 2007. All services (including TV) were rebranded under the Virgin name in February 2007. Virgin TV is the largest cable television provider in the country. Virgin TV ranks as the UK´s second largest pay TV service. In 2007, it had 3.6m subscribers, compared to BSkyB´s 8.2m on Sky, as of Q3 2007. Virgin´s digital cable television currently uses the Nagravision 3 conditional access system. Currently 55% of UK households potentially have access to Virgin´s network, while anyone in the UK with a line-of-sight view of the Astra & Eurobird satellites at 28.2° east has the ability to receive Sky´s service. In May 2008, Virgin Media began their "long term" region-by-region analogue television service switch off project, beginning with Coventry and Glasgow. In areas where analogue transmission will be turned off but no digital replacement introduced customers will be offered Virgin´s off-network services, with the company looking at developing a television-over-DSL service for areas outside its cable network. Analogue subscribers in areas where digital cable services are already available will be offered transfers to new packages. The firm signalled that it wants to use the capacity to provide faster broadband internet. On 11 September 2009, Cisco Systems announced a deal to support Virgin Media´s Internet Protocol TV distribution platform and upgrade its legacy digital TV infrastructure. 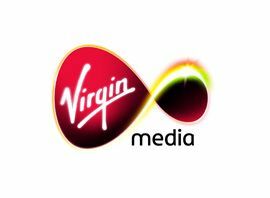 Virgin Media deployed Cisco Digital Video Headend technology in all of its regional and central headends, across its national fibre optic network. The TV platform will be capable of delivering advanced services to more than 12.6 million UK homes. The infrastructure helped Virgin Media to reduce operating expenses, support the rollout of new conditional-access security services, and accelerate the introduction of new standard and high-definition services. A Virgin Media spokesman later clarified that the plan "isn´t quite announcing the ´launch of IPTV services´. The agreement with Cisco is to help enhance our existing TV platform, which broadcasts content over DVB-C and then our VoD service runs on IP." On 24 November 2009, Virgin Media entered into a strategic partnership with TiVo. Under the mutually exclusive agreement, TiVo developed a converged television and broadband interactive interface to power Virgin Media´s next generation, high definition set-top boxes. The terms of the deal were not disclosed. TiVo became the exclusive provider of middleware and user interface software for Virgin Media´s next generation set top boxes. Virgin Media became the exclusive distributor of TiVo services and technology in the United Kingdom. Virgin Media will pay TiVo monthly fees, which commenced upon delivery of its first set-top box, which are guaranteed and increase over time. The agreement has a multi-year term with additional limited renewal rights granted to Virgin. The agreement created a mutually exclusive distribution arrangement under which TiVo will develop software for DVR set top box platforms and non-DVR set-top boxes that will be deployed in the future by Virgin in the United Kingdom. Virgin Media will promote the product and has exclusive rights to use the TiVo brand and technology in the United Kingdom. As part of the agreement, Virgin Media and TiVo entered into a mutual covenant not to assert with regards to each party´s intellectual property. Investment bank Lazard Capital Markets estimated the hookup as a "$48 million deal" for TiVo. Virgin Media is to maintain its current Liberate middleware provided by SeaChange International through until at least January 2011.